Juan José returns to the Cuban Law Association for advice because the Compensation Fund has paid only 3,000 of the 39,000 pesos that he was awarded in the judgment of the People’s Municipal Court of Arroyo Naranjo as compensation for the injuries and damages caused by Ernesto, the driver of the Ministry of Agriculture truck that collided with his vehicle. His health condition caused by the accident has deteriorated: he has had to undergo two operations on his arm, and two on his spine, declining a third because of the risk of being rendered completely disabled. To make matters worse, his wife had to undergo surgery for breast cancer, resulting in expenses for transportation and food that his retirement pension cannot cover. Juan contends that if he could have recovered the majority of the compensation he could at least have fixed their vehicle, and this would have allowed him to get a taxi-driver’s license in order to improve their economic situation. The letter added that the Fund serves as an intermediary through which the injured party can collect, but it does not take on the responsibility of the debtors to pay the compensation, and therefore it has no funds for assuming that responsibility. The judgment declaring Ernesto responsible was dated July 6, 2011, and in May 2012, Juan José had recovered only a fraction of it. The courts must effectively implement the rulings that they issue and monitor compliance with them by the agencies charged with being involved in the implementation process, and must also perform the acts prescribed in the appropriate procedural laws, when the execution of their rulings lies with other state agencies. How much longer must Juan wait to collect the compensation that the Municipal Court of Arroyo Naranjo ordered in a final judgment? If the agencies charged with enforcing the law do not take the matter in hand, Juan’s wait will be never-ending. Many people come to see us about the fines imposed on them by the Port Captain. Article 39: Violations shall be punished immediately, as soon as they are known at the moment of commission, or when their effects have continued to survive at the moment of verification. In this way the Port Captain, protected by Decree Law No. 194/99, has imposed the aforementioned fines in violation of Decree Law 99, “Personal Contraventions” of December 25, 1987. People who in one form or another have been affected, have requested our advice, among other things because the same Decree Law 194 in Chapter II, Article 2.1, Subsections a, b and c establishes fines from 500 to 2,000 pesos. These people, for the most part, have tried to leave the country on flimsy rafts, risking their lives, indicating that they do it because of fundamentally economic problems. This begs the question: How can a person who lives in Cuba, where the average salary is approximately 340 pesos in national money, pay such a high fine? The migratory accords signed by Cuba and the United States establish among other things that Cubans apprehended leaving the country in rafts should be returned with the condition that no reprisals will be taken against them. Furthermore, the concept of “embarkation” used by the Port Captain is absurd. For them, anything that floats constitutes an embarkation, whether it’s a surf board or a camera truck. In addition, the fact that the sanction has to be appealed before the same people who apply it converts this into a kind of Kafkaesque tale and not into a serious and responsible resolution of a state entity that legislates on such an important problem for the citizens. As mentioned in previous works, the most common cases that come to the Law Association for help relate to the subject of housing. 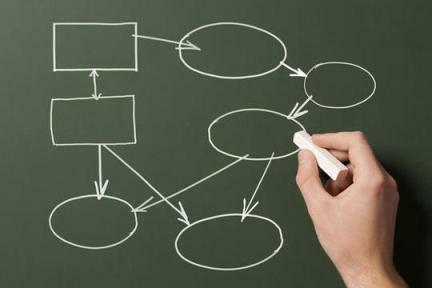 It is interesting to note that most of the people that come to us for advice have already exhausted all other resources in search of a solution to their problem, and bring in documents with numerous letters addressed to different entities. Thus, Ramon showed up at our headquarters very distressed because for approximately nine years he has been waiting for people who are living illegally in his house to leave. To its credit, the resolution of the Municipal Housing Office for the municipality of Playa where in its First Resolve accedes to Roman’s interests and in consequence urges the occupants of said residence to abandon the property in 72 hours after the date of notification, otherwise they will be evicted with the help of the Revolutionary National Police (RNP). 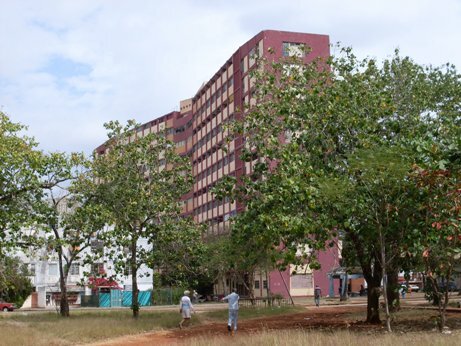 In its own resolution, which notifies both parties, it is made known to them that against what the resolution itself provides, reclamation proceeds before the Chamber of the Civil and Administrative Popular Provincial Tribunal of the City of Havana (TPP). Here is where the absurdity of absurdities begins for Ramon. As expected the counterpart appealed to the TPP and as a result, it declared the counterpart’s pretext baseless. Unhappy with the ruling of the TPP, the counterparty filed an Annulment Resource before the People’s Supreme Court, which upheld the TPP ruling. Although Ramon has the judgment dated October 31, 2002 the TPP, which grants the right to occupy the property that is the subject of this litigation, the agency responsible for executing the same has ignored the ruling of the court of justice. It is necessary here to clarify that all cases that come to our office with housing problems of this nature do not always have the same treatment: some, like the present case, can delay indefinitely eviction of the illegal occupants made, others however, at 72 hours, are unceremoniously evicted. The obvious question then is, why in some cases are the resolutions quickly enforced in other cases with the same resolution it “sleeps the eternal sleeps”? I tend to think that there is an “unknown” element involving either result in compliance with the judgments of the courts…although we find it hard to believe. On more than one occasion the citizen William Alexis Cacer Diaz has requested assistance from the Cuban Law Association for having been the victim of unlawful conduct by police officers. First, he was robbed of a camera, a mobile phone and a mini tape recorder he used in his work as a self-employed photographer). At that time he was oriented with regards to what he needed to do in accordance with the provisions of Article 66, paragraph 1) in relation to Article 401 and following of the Law of Civil Administrative, Labor and Economic Procedure, to lodge a Demand for Process of Protection of Possession, against the Relevant Acts of the Authorities before the corresponding court. Now William returns to us for advice as he continues to suffer arrests. On none of the occasions on which he has been detained have they showed him an arrest warrant: he has been taken in a police car to the Cotorro Police Station and kept in a cell there for several hours. Now William refers also to the threat that, for going to Estado de Sats, they have warned him he will be arrested every time there is an event announced at the home of Antonio Rodiles. Freedom and inviolability of persons is assured to all who reside in the country. What is happening with William reminds me of that famous work of Victor Hugo, in which a police displayed a visceral satisfaction in a lifelong pursuit of a former convict who, in the end, ended up saving the life of his pursuer. Who can refute that life, with its avatars someday repeats an episode similar to Les Miserables? … Only with new characters and and a new location, and so it seemed to me a good idea to call this the Harassment of Cotorro. At the Cuban Judicial Association, the cases with which we deal most frequently involve housing. For a very long time this was the exclusive jurisdiction of the State, which was the only entity with the power to build (or to hand out the rare license to do so). The housing stock was not able to grow for many years and, as a result, we are now confronting dramatic consequences. The problem is not confined to buildings and houses that collapse when it rains a little, due to a prolonged lack of maintenance. It also occurs when conflicts arise from several generations, or people of unequal levels of education and standards of behaviour, living under the same roof. These conflicts are multiplied exponentially by the fact that there are ever fewer units of housing available for everyone. 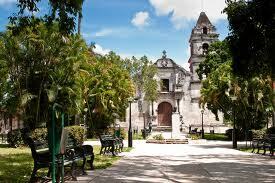 The first projects of which I am aware were built in Habana del Este, or “Pastorita,” as it is often referred to. These were constructed with care and by builders who knew what they were doing. Another wave of construction activity occurred later, as I recall, in Alamar. In contrast to the earlier projects, however, these later constructions in general left much to be desired in terms of quality and urban character. Alamar is in no way comparable to Habana del Este. The worst thing about this is that this implies a kind of devolution, since it would have been logical to assume that the first projects built just after the Revolution were surpassed by those built later, and not vice versa. But on top of the physical problem of a shortage of housing, there is the fact that we are now a nation of more than eleven million inhabitants. It is awful to see grandchildren trying to commit their grandparents to an institution in order to be able to live by themselves. Or a recently divorced man trying to evict his ex-wife and children from their home, even when they have nowhere to go, because he is in a new relationship. And in that struggle it is possible to see everything, from threats and domestic violence to bribery of housing officials to achieve a singular purpose – one’s own roof. Someone told me that they no longer play this on the radio or television because it has been banned. I don’t know, but what does seem terrible to me is that we have lost, among so many other things, the love of our neighbors and above all of those closest to us. I met Ailer recently and we quickly became friends. I appreciated her vocation in the scenic arts, a sphere so difficult and one she operates in with great ease. She traveled to Germany with a theater group for this work. I was happy for her. But this wasn’t the only reason for my sympathy. Ailer also was, and is, an important collaborator in Estado de Sats, where I’ve known her, seen her, and where she serves in various duties. She wants, like the immense majority of we Cubans, for things to change for the better in the country, that all of the political, economic and civil rights will again be a collective and individual prerogative. Ailer had the courage and the dignity to attend a farewell tribute that a large group of compatriots held very recently for Oswaldo Payá Sardiñas. Practically in the presence of the coffin, she was enveloped in brawl, created artificially so as to ensure that the farewell was not peaceful. And Ailer was put on a bus which, according to her, seemed like it was about to turn over at any minute because the brawl continued inside the vehicle, almost until they reached the Playa Tarará area on the outskirts of the city, where they got off at a Ministry of the Interior police station. Ailer was humiliated, beaten, lying on the floor. She, hours later, would relate all this with ill-concealed anger the to chief colonel of the Fourth Unit of the National Revolutionary Police (PNR) at Infanta and Mangrove, in the Cerro neighborhood, where she joined the large group gathered to clarify the status of Antonio Rodiles from the Estado de Sats project. The colonel listened and eyewitnesses say that what could be seen on his face was … consternation. Now, in addition, I admire Ailer for her bravery, her civic sense, and the decision to demand her rights, which are those of all of us.